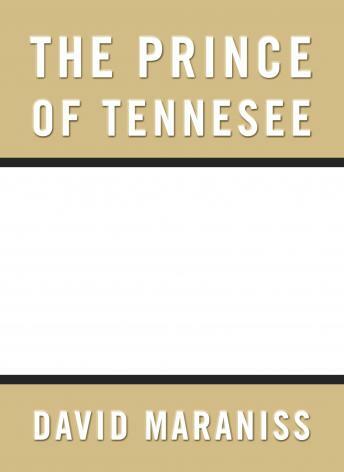 In The Prince of Tennessee, David Maraniss and Ellen Nakashima explore in rich detail the forces that have shaped Al Gore's life, and the ways that his past offers clues to what kind of president he might have been. The Gore who comes to life in this audiobook is an intelligent and competent man, struggling with self-doubt and insecurity that explain his bureaucratic obsession with fact and his tendency to exaggerate his accomplishments. Gore's path to power, at first glance, seems straight and narrow. While Bill Clinton's rise is a story of obstacles overcome, Gore's ascendance seems the opposite: the son of political aristocracy reared by loving and demanding parents who groomed him as a princeling to reach the top. But his life was shaped by as much duality as Clinton's. As a child Gore was shuffled back and forth from political Washington to rural Tennessee, his ancestral homeland. The contrast reflects a larger tension between what others expected of Gore and what he wanted to do. Here was the quintessential good son whom his classmates teased as the wooden Apollo. He would occasionally try to rebel but inevitably be yanked back by the burden of expectations and his own insecurity. His first ambition was to be a novelist, but his friends at Harvard saw him as a royal figure for whom a political career was unavoidable. He opposed the war in Vietnam, yet enlisted in the army anyway, out of an obligation to shield his father, the antiwar senator. When he eventually turned to politics Gore brought with him competing impulses: the cautious political moderate with an occasional tendency toward uncommon boldness, the awkward public figure who in private can be a raucous storyteller, the loyal son and vice president who wants to be considered on his own terms, the reluctant politician who burns with a desire to fulfill his parents' dream and become president.